Alexia Butler Fugh was born in Seoul, South Korea, and raised by her Korean Grandfather until she was adopted by her parents, Hosea and Julia Butler at the age of 3 1/2 and raised in Murfreesboro, TN. 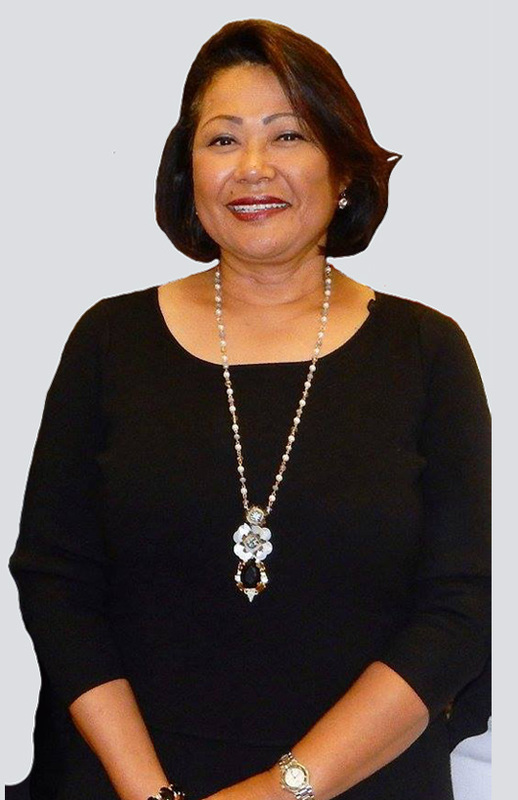 Mrs. Fugh has a great love of caring for people and has been a Licensed Registered Nurse for over 31 years. Professionally, she is a member of the American Nurses Association, the National Black Nurses Association, the Association of Clinical Research Professionals, and the American Association of Legal Nurse Consultants. While growing up, Mrs. Fugh attended and was a member of Key United Methodist Church in Murfreesboro, TN, where she was an active member of the United Methodist Youth Fellowship (UMYF). She became a member of the African Methodist Episcopal Church when she married her husband, Right Reverend Clement W. Fugh. She has taken pride in participating in the life of the churches where her husband has been assigned because she believes first and foremost, that ministry is about being a servant to God’s people and not about being served. On July 2, 2012, Reverend Clement Fugh was elected the 131st Bishop of the AME Church and was consecrated on July 4, 2012. Bishop Clement and Supervisor Alexia were assigned to the 14th Episcopal District, which includes Liberia, Nigeria, Ghana, Sierra Leone, Corte D’Ivoire and Togo-Benin, until being reassigned to the Fifth Episcopal District. Supervisor Fugh has been happily married for over 36 years. She is always amazed at the grace of God, when she thinks over her life and realizes how God has orchestrated her life events. God has kept her, blessed and protected her and her family. She feels her life in itself, is a testimony of the truly AWESOME God we serve.